Looking for a moving company you can trust? Well you have come to the right place! 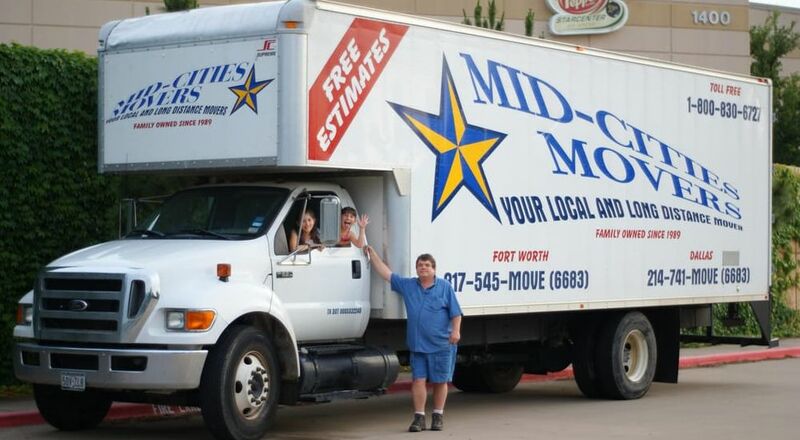 At Mid Cities Movers we do everything we can to provide the best moving services in Dallas, Fort Worth and the surrounding areas. We are not just a local mover, we also specialize in long distance moving in Texas and beyond. We are the best movers to call when you want a fair price and prompt service. Mid Cities Movers will make sure that you get the best advice for planning your moving day. And we will only send movers that have a high level of dedication to quality work. Our highly skilled moving specialists will make sure that all the bases have been covered where your moving job is concerned. We want your moving day to be as painless for you as possible. Let us take the pain out of moving for you! We are fully licensed and insured and our staff of movers at each of our locations will make sure you receive the prompt attention you deserve. With 24 years of experience we are able to provide our moving customers with FREE Phone Moving Estimates and Same Day Moving Services. Specializing in long distance moving, corporate moving and residential moves, we are a full service moving company you can count on!